FABRIC KEY. That's right! Don't fuss over fabric placement. We offer fabric keys online so that you know exactly where each piece of fabric goes. SUPPORT. Just learning to quilt or a seasoned quilter? We offer telephone and e-mail support. If you're having trouble, just let us know. We're here to help. SIMPLY PUT ... FUN. We do the work for you! We find gorgeous quilts, and pick from our huge selection of fabrics for that perfect piece saving you time, money, and the leg work. We match our fabrics as close to the original as possible. ABOVE & BEYOND. We go above and beyond the call to see that your BOM is fun. If you make a small mistake, let us know, we'll send you a replacement piece for free! SELECTION. We invite you to check out all our programs. We have new ones beginning regularly, and we are always looking for more. SATISFACTION GUARANTEED. We guarantee you will be happy with your BOM. We'll do everything we can to see that you are 100% satisfied. QUALITY. On a budget? We understand everyone is looking for a way to do what they love at the best possible price. The pay as you go pricing makes a major project easy to budget. Each program is broken down into smaller, attainable goals, so you will enjoy a feeling of accomplishment each month. Programs are designed with a variety of block styles to help you master different techniques and expand your overall quilting knowledge. Great reason to visit your favorite quilt shop on a regular basis or get an exciting package in the mail each month. 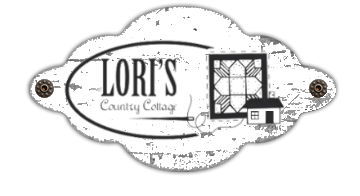 Lori’s offers a variety of BOM programs – at least one is sure to fit your style and schedule! New programs are added all the time!